Herbs and subshrubs, often acaulescent (rarely so in F.Z. area), often with tuberous caudices or creeping rhizomes, or climbing by adventitious roots. 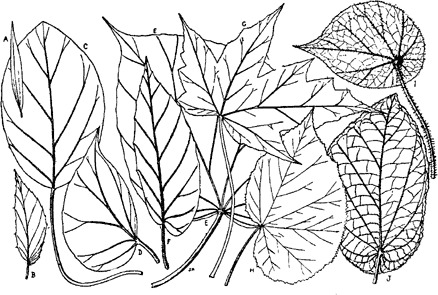 Leaves ± asymmetric27, palmate-veined, lobed, toothed or entire, simple or very rarely pinnate (not in F.Z. area), sometimes peltate (not in F.Z. area); stipules free, persistent or deciduous. female flowers: tepals 2–5(6–9), often persistent; ovary inferior, (2)3(4–6)-locular (always 3-celled in F.Z. area), usually angled or winged; styles 2–6, free or connate, usually bifid but occasionally multifid (not in F.Z. area), branches stigmatic and often twisted; placentation axile, placentae entire or bilamellate (2-lobed in transverse section); ovules ?. male flowers: tepals 2–5, free or very rarely connate; stamens ?, filaments free or very rarely connate; anthers ovoid to oblong, rarely circular or linear, dehiscing by lateral slits or rarely with apical pores. Flowers monoecious, ± zygomorphic, in terminal and axillary cymes; tepals pink, orange, yellow or white. Fruit a capsule or berry, usually with irregular dehiscence; seeds minute and very numerous. 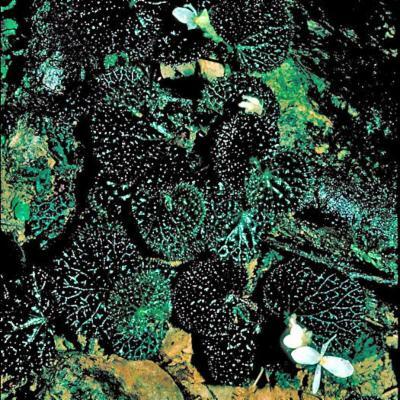 Description as for the family, except for those characters distinguishing Hillebrandia, namely: perianth segments (10 in male flowers, 8–10 in female flowers) in two distinct whorls, ovary semi-inferior, and fruit dehiscing between the styles. The genus Begonia has been divided into more than 60 Sections of which 16 are represented in Africa. Species belonging to five of these occur in the FTEA area together with B. humilis, a naturalised species of the American Section, Doratometra. A key to the Sections based only on species found in the FTEA is given on p. 21. Begonia duhungensis is another member of section Petermannia, but does have three alternate female flowers arising from the lower inflorescence. This character in unusual in section Petermannia in which, usually, the female flowers arise from the base of the inflorescences in pairs or as single flowers. Begonia asteroides L.B.Sm. & B.G.Schub. 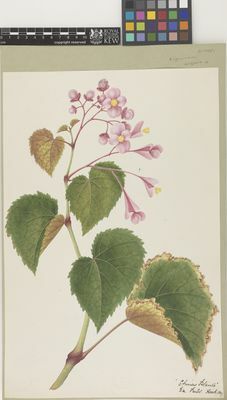 Begonia carnosa (Teijsm. & Binn.) Teijsm. & Binn. Begonia castaneifolia Otto & A.Dietr. Begonia cebadillensis Houghton ex L.B.Sm. & B.G.Schub. Begonia cuatrecasasiana L.B.Sm. & B.G.Schub. Begonia fagifolia Otto & A.Dietr. Begonia groenewegensis K.Koch & Fintelm. Begonia henrilaportei Scherber. & Duruiss. Begonia hinnamnoensis Souvann. & Lanors. 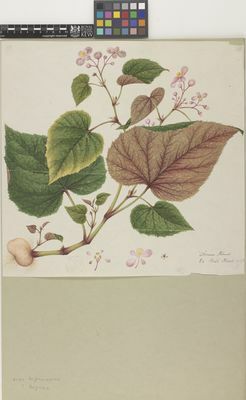 Begonia holosericea (Teijsm. & Binn.) Teijsm. & Binn. Begonia nosymangabensis Scherber. & Duruiss. Begonia peltata Otto & A.Dietr. Begonia plumieri Kunth ex A.DC. Begonia pteridoides Scherber. & Duruiss. Girmansyah, D. (2009). 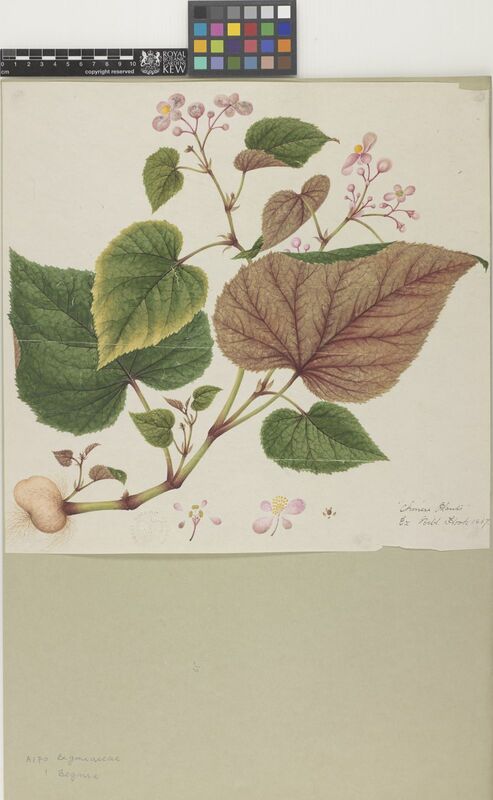 A taxonomic study of Bali and Lombok Begonia (Begoniaceae) Reinwardtia 12: 419-434. Chong, F. Y., Guanih, V. S. & Rimi, R. (2015b). Begoniakibambanganensis and B. melanosticta (Begoniaceae), two New Species from Sabah, Borneo. Sandakania 20: 1 - 6. Chong, F. Y., Guanih, V. S., Julia, S. & Kiew, R. (2015a). 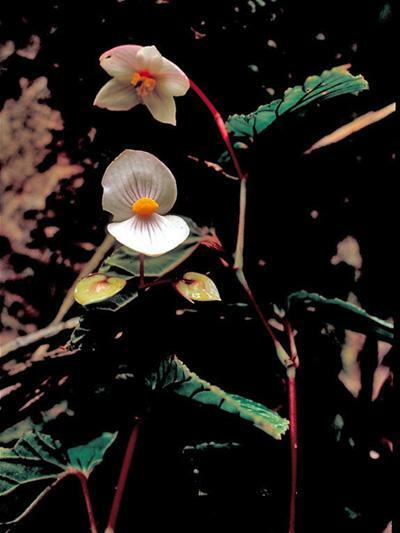 Begonia (Begoniaceae) in the Danum Valley Conservation Area, Sabah, Borneo, includ­ing Eleven New Species. Sandakania 20: 51 - 85. Joffre, A. A., Kiew, R., Julia, S. & Rimi, R. (2015). 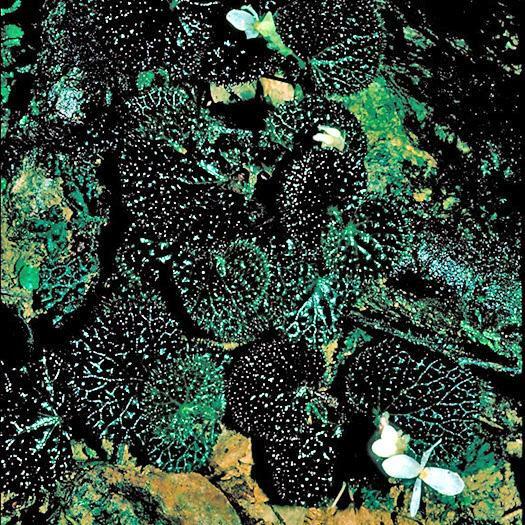 The Begoniaceae of Brunei Darussalam, Borneo, including Two New Species. Sandakania 20: 7 - 50. Julia, S. , Kiew, R. & Ling, C. Y. (2015a). A Decade of Begonia (Begoniaceae) from Sarawak, Borneo. Sandakania 20: 129 - 154. Julia, S. , Kiew, R. & Ling, C. Y & Geri, C. (2015b). Begonia (Begoniaceae) from Kubah National Park and Environs, Sarawak, Borneo, including a New Spe­cies. Sandakania 20: 87 - 106. Kiew, R. , Julia, S., Rimi, R. & Joffre, A. A. (2015). A Guide to Begonias of Borneo. Natural History Publication (Borneo). Kota Kinabalu. Rimi, R., Karim, R. M. & Mujih, H. (2015b). Three New Begonia (Begoniaceae) Species from Ultramafic Outcrops in Kinabalu Park, Sabah, Malaysia. Sandakania 20: 155 - 164. Rimi, R., Sampang, K. & Limbawang, S. (2015a). Begonia (Begoniaceae) from Tawau Hills Park, Sabah, Malaysia, including Ten New Species. Sandakania 20: 165 - 204. Julia, S. & Kiew, R. (2014). 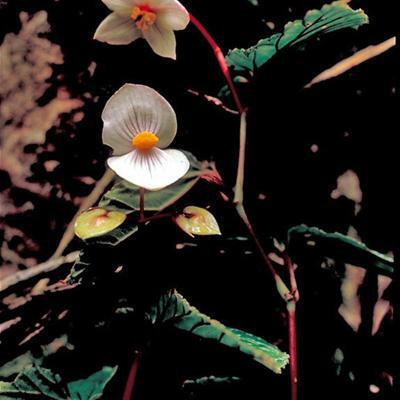 Diversity of Begonia (Begoniaceae) in Borneo — How many species are there? Reinwardtia 14: 233 - 236. Lin, C. W., Chung, S. W. & Peng, C. I. (2014a). Begonia baik and B. padawanensis spp. nov. (Begoniaceae) from sandstone area in Sarawak, Malaysia. Nordic J. Bot. doi:10.1111/njb.00641. Lin, C. W., Chung, S. W. & Peng, C. I. (2014b). 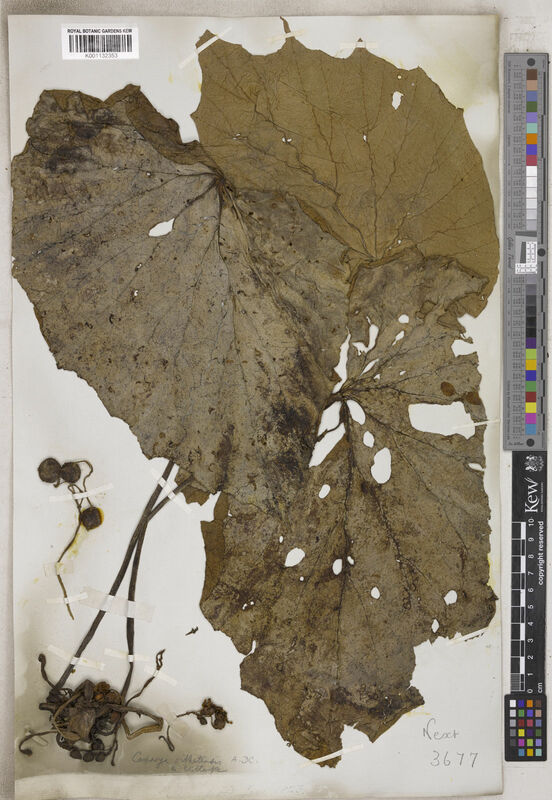 Three new species of Begonia (section Petermannia, Begoniaceae) From Sarawak, Borneo. 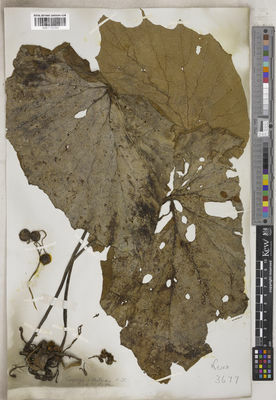 Phytotaxa 191 (1): 129 - 140. IUCN (2012). IUCN Red List Categories and Criteria: Version 3.1. Second edition. IUCN, Gland and Cambridge. Hughes, M. (2008). An Annotated Checklist of South-East Sulawesi Asian Begonia. Royal Botanic Garden, Edinburgh. Kiew, R. (2005). Begonia in Peninsular Malaya. Natural History Publications (Borneo). Kiew, R. (2001). The limestone Begonias of Sabah, Borneo — flagship species for conservation. Gard. Bull. Singapore 53(1 - 2): 241 - 286. Doorenbos, J., Sosef, M. S. M. & De Wilde, J. J. F. E. (1998). 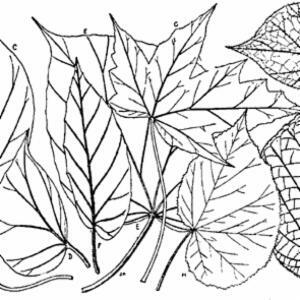 The sections of Begonia including descrip­tions, keys and species lists (Studies in Begoniaceae VI). Wageningen Agr. Univ. Pap. 98(2): 1 - 266. Candolle, A. L. P. P. de (1859). Memoire sur la famille des Begoniacees. Ann. Sci. Nat, Bot, Ser. 4 11: 93 - 149. Linnaeus C. (1753). Species plantarum. Laurentii Salvii, Holmiae [Stockholm]. Barkley & Golding, The species of the Begoniaceae, ed. 2 (1974). Gen. Pl. ed. 5: 475 (1754).